Welcome to Norfolk Bells’ ULTIMATE camping offering; perfect for discovering this county’s wild and natural landscapes. 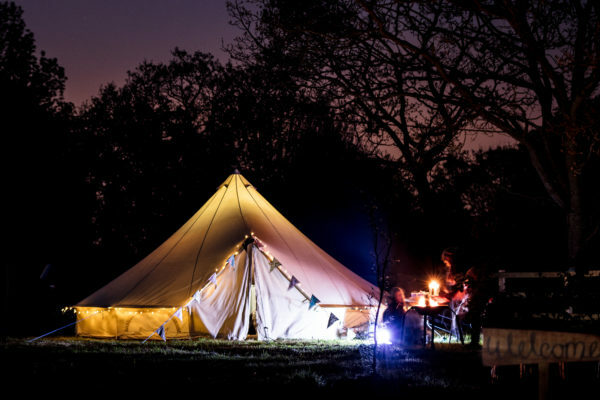 Our Campsite Glamping bells range from 5 metre to 6 metre and all the canvas peaks are fabulously roomy as either a sumptuous camping palace for two, a cosy nest for a family retreat or a spacious home from home for a group of up to six. You simply need to choose where you’d love to spend your canvas holiday, then let us know when you’d like to go and we’ll simply do the rest! We have three 5m diameter bells all with star gazing roof panels (astronomer paradise) and one spacious 6m bell. All offering the perfect canvas home for a group of up to four/ six (or book them all if there’s oodles of you). 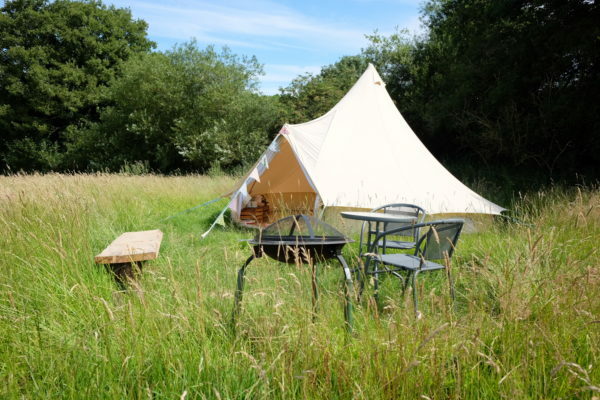 What Makes a Bell Tent Different? If you’re new to bell tent camping the benefits are not just in size and comfy beds; sleeping under a cotton peak offers a magical and far more pleasant nights sleep than your everyday polyester tent. With the canvas tent you’ll find there is no waking up feeling unrested and sweaty and there is no chance of condensation dripping on your head either!! The breathable nature of cotton canvas, along with four big vents in the peak of the bell, means you are sleeping in fresh air which circulates around you all night, giving you a healthy and good nights sleep. Bliss. Get your Glamp On!! Our bells are available for bookings from 04 May until 09 September 2019. Perfect for summer stays under starry skies.